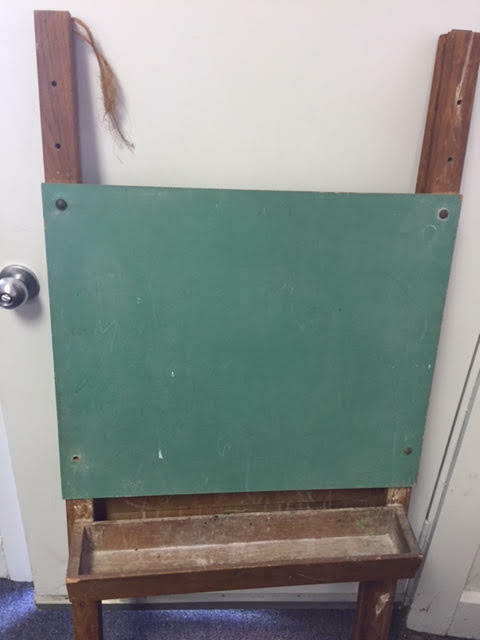 With a little bit of cleaning up, this vintage double-sided green chalkboard (similar to the one I spent hours drawing on as a child, but much larger!) would be great fun for any kid! Or two kids playing at the same time, since it has a chalkboard on both sides of the easel! The piece also has a great space to hold loads of chalk, erasers and so forth! Condition: Needs some cleaning up and repairs, but otherwise would be usable. It appears to have been handmade, but I’ll have to take a closer look to make sure. 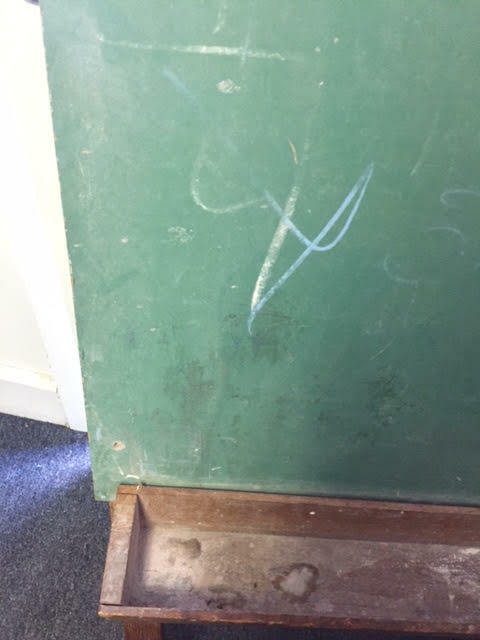 Note: The chalkboard got knocked over, and one of the chalk holders fell off, and needs to be reattached. It also looks like it must have had something across the top; some of the older ones had a scroll of paper, although I don’t think that was the case here. More likely, it had a plaque or signage of some kind (e.g. nursery rhymes). 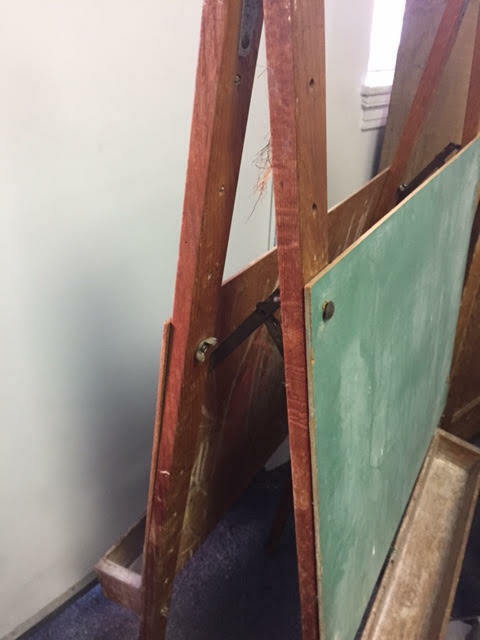 A whiteboard could be affixed. Dimensions: Larger than usual. 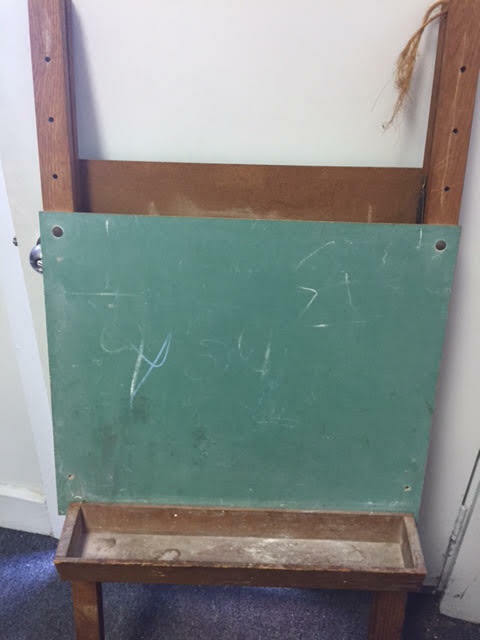 This is probably about 5′ tall although the chalkboard drawing area tops out at nearly 18″ below the peak of the frame. Price: Just $12.00 at Heritage Collectibles. Plus the standard 5.5% sales tax, of course! 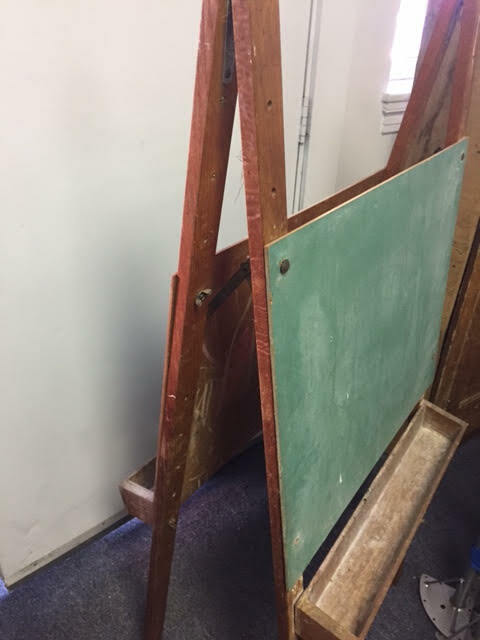 This entry was posted in 1950s Era, Furniture - Child, Furniture - Desks, Furniture - Miscellaneous, Project Pieces, Toys - Antique & Collectible and tagged chalk board, chalkboard, child furniture, drawing, Heritage Collectibles, Heritage Collectibles Books & Maps, vintage chalkboard. Bookmark the permalink.